Sara wants to go out and play in the sunshine, but she has a few errands to complete before she does that. Nothing special, just sweeping her room, feeding the dog, that sort of thing. What could possibly go wrong? Follow the story of Sara, a suburban girl who simply wants to go outside to play, but has to do a few errands around the house first. Nothing special, just sweeping her room, feeding the dog, that sort of thing. What could possibly go wrong? Errand has been updated to v1.2, and now includes an Italian and Portuguese translation. Also featuring two different endings, epic soundtrack, and voice pack. 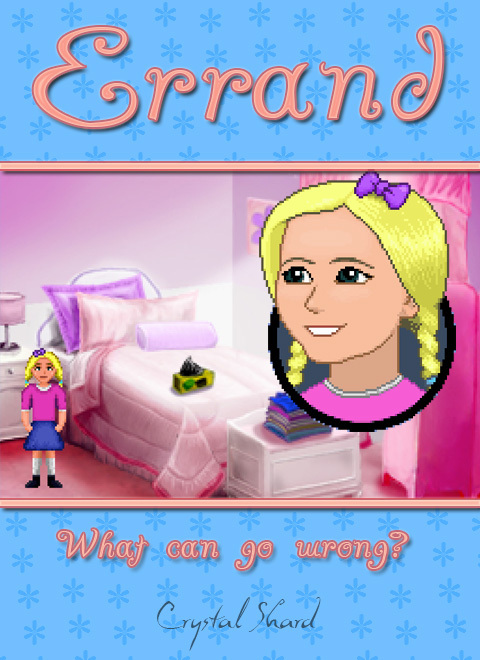 Errand, full game v1.5, Windows version including German, Italian, Japanese, Portuguese, Russian, and Spanish translation. Errand, full game v1.5, Linux version including German, Italian, Japanese, Portuguese, Russian, and Spanish translation.